It’s fairly well known that artificial light can interrupt your sleep patterns and make you a cranky person. All light is not created equal though. The SleepCompanion is a light that will help improve your sleep. It may seem sort of counterproductive to pick up a light to help you sleep but this special bulb isn’t like the others. It synchronizes with your body’s biological rhythm to give you the light that you need at the proper times. By basing the light exposure on your circadian rhythm, you won’t be getting too much or too little light when it’s time to wake up or fall asleep. Basically, the right amount of light for your personal life. 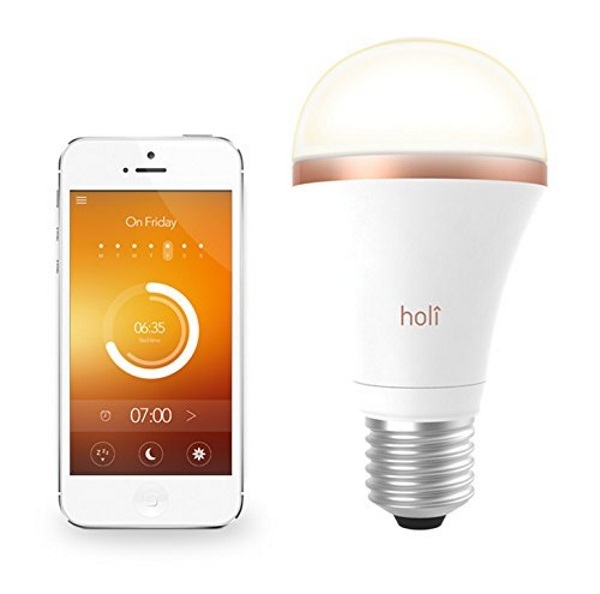 It works with a smartphone app that collects information on your sleep patterns so that when the light is activated it gives off the proper illumination to ensure that you’re getting a more natural exposure to light. It has a dawn simulator for you to wake up to, which makes for a much easier wake up and at night, it will give off relaxing glows to help you fall to sleep easier. The SleepCompainion is $99.99.